Obama: Attacks on Susan Rice "outrageous"
President Obama on Wednesday issued a strong defense of America's U.N. ambassador Susan Rice over comments she made about recent violence in Benghazi, calling recent Republican attacks on her reputation "outrageous" and promising that they won't deter him from tapping her to be Secretary of State if he chooses. Mr. Obama, speaking to reporters in the first press conference since his re-election, praised Rice for serving U.S. interests in the U.N. with "toughness and grace," and argued forcefully that her reputation has been unfairly "besmirched" by the right. "Let me say specifically about Susan Rice: She has done exemplary work. She has represented the U.S. and our interests in the U.N. with skill and professionalism and toughness and grace," said Mr. Obama. "If Senator McCain and Senator Graham and others want to go after somebody, they should go after me. And I'm happy to have that discussion with them. But for them to go after the U.N. ambassador? Who had nothing to do with Benghazi? And was simply making a presentation based on intelligence that she had received? To besmirch her reputation is outrageous." His remarks were a direct response to comments made earlier in the day by Sens. McCain, R-Ariz., and Graham, R-S.C., who accused Rice of misleading the American people about events surrounding the September 11 attacks in Libya, and pledged to do everything in their power to block the nomination. "Somebody has got to start paying a price around this place," said Graham, in a press conference in the U.S. Capitol. "I don't think she deserves to be promoted. There are a lot of qualified people in this country the president could pick, but I am dead-set on making sure we don't promote anybody that was an essential player in the Benghazi debacle." On "CBS This Morning" today, McCain said flat out that Rice is "not qualified." "We're all responsible for what we say and what we do. I'm responsible to my voters. She is responsible to the Senate of the United States," said McCain. "If you're going to tell the American people something you better make damn sure it's true." 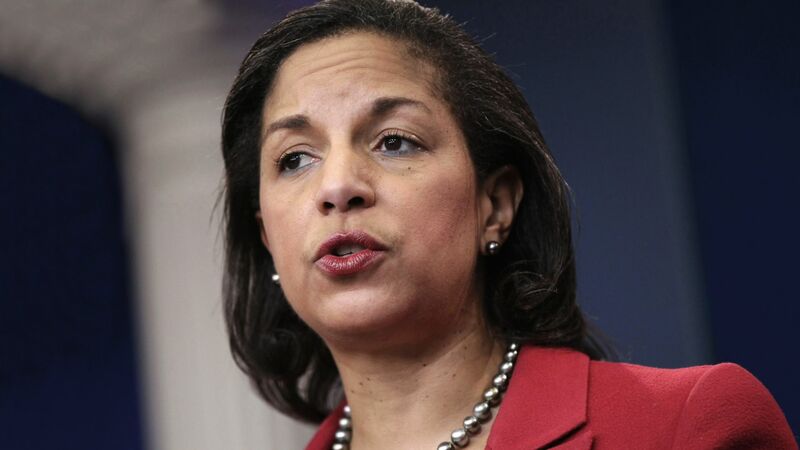 Shortly following the September attacks on the U.S. consulate in Benghazi, which resulted in the deaths of four Americans, Rice appeared on CBS News' "Face the Nation" and suggested there was no evidence that the incident was an act of terrorism. Instead, she said, the violence appeared to be prompted by an inflammatory anti-Muslim video that had led to protests in Egypt. Since then, Rice's characterization has been proven inaccurate, although her statements were supported by talking points the CIA reportedly gave her at the time. Mr. Obama stressed that "it is important for us to find out exactly what happened in Benghazi and I'm happy to cooperate in any ways that Congress wants." But, he added, when but Republicans "go after the U.N. ambassador -- apparently because they think she's an easy target -- then they've got a problem with me." "If I think that she would be the best person to serve America in the capacity of the State Department then I will nominate her," added Mr. Obama. "That's not a determination that I've made yet."